Iran’s Supreme Leader Ali Khamenei is playing his regional trump card: Iraq to replace Syria and Iraq’s powerful Shiite Prime Minister Nouri al-Maliki to supersede Syria’s embattled Alawite President Bashar al-Assad. Tehran’s theocratic government and Baghdad’s Shiite-dominated leadership have been moving closer all the time. And both share a similar interest in supporting Damascus. Iraq abstained from a 2011 Arab League vote to suspend Syria’s membership. It is now quietly shipping crucial fuel oil supplies to Assad’s regime. Iraq has also been laundering money for the Islamic Republic to help it overcome sanctions and ferry weapons and fighters to the Assad government. Since it promised to ask Syria-bound airplanes passing through its airspace to land for random inspections after Washington said they could be ferrying arms to Damascus, Baghdad searched one cargo plane only. At the same time, an agreement between senior Iraqi and Iranian officials allowed Tehran to make larger and more systematic transfers of weapons and fighters to Syria overland via Iraq. Iranian President Mahmoud Ahmadinejad will be travelling to Baghdad shortly to confer with Maliki. Maliki, who is in Moscow on a working visit to consolidate political, economic and defense ties and discuss developments in Syria, meets later today with Russian President Vladimir Putin. A joint statement issued after Maliki’s talks on Tuesday with his counterpart Dmitry Medvedev said more than $4.2 billion in arms deals were agreed between the two sides as part of a tighter military cooperation plan. Moscow will supply 30 Mil Mi-28NE night/all-weather capable attack helicopters, and 50 Pantsir-S1 gun-missile short-range air defense systems. The contracts are among the biggest ever signed between Iraq and Russia. Further discussions were also said to be underway for Iraq’s eventual acquisition of a large group of MiG-29 fighters and helicopters along with heavy weaponry. Russian arms industry analyst Russian Pukhov of the Center for Analysis of Strategy and Technologies, a Moscow-based think tank, tells Novosti the deal showed Baghdad's desire to break Washington's monopoly of arms supplies to Iraq. "It's clear that America's influence on Iraq has been excessive. The Shiite government of this country is starting to conduct itself more independently of Washington, and more looking toward Iran," he said. 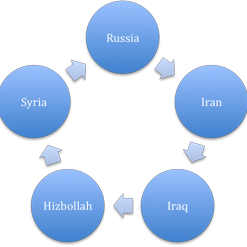 Russia is seeking to take its ties with Iraq to a new level and win almost certain support for its position on Syria. Baghdad needs Moscow’s help in defense and military areas and needs arms to “defend itself and fight terrorism,” Maliki said in the Russian Foreign Ministry mansion on Monday. Tariq Alhomayed, editor-in-chief of the leading Saudi daily Asharq Alawsat, believes Maliki aspires to be Assad’s “substitute” in the region. Maliki is obviously trying to reconcile the irreconcilable. He is after simultaneous alliances with Tehran, Washington and Moscow, something no one was able to do in the region. Turkey’s zero-problems foreign policy finds Ankara today immersed in the region’s problems. Independently of policy, problems pop up even when you ignore them. And they will drown you if you don’t tackle them properly. A huge Russian arms deal won’t rebuild the Iraqi army, not when the U.S. continues to train and equip the Iraqi military. It is an open secret that Moscow’s chief arms clients are either isolated Arab regimes, or ones trying to blackmail the U.S. and Europe for political gain. If Iraq wanted to be an active Arab power player supportive of democracy and stability, why do a deal with Moscow, chief spoiler of a UN Security Council solution for Syria? 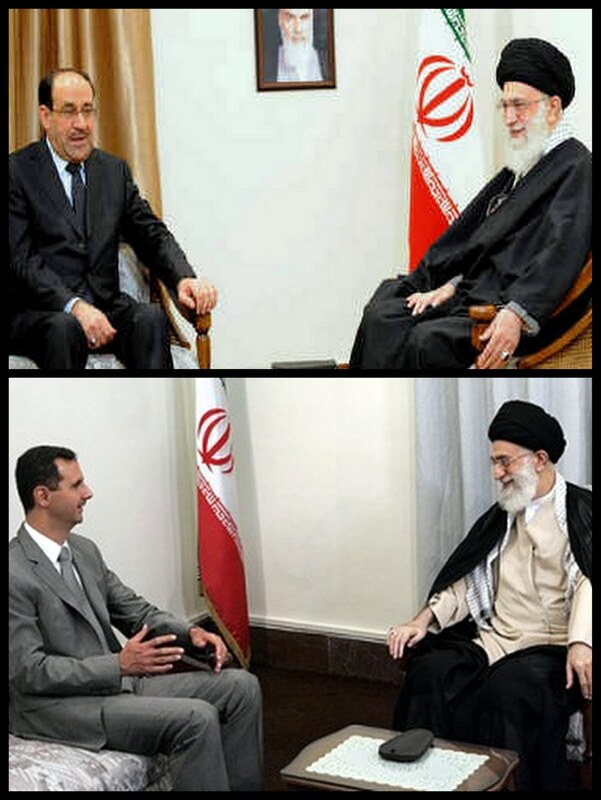 All evidence suggests Maliki yearns for superseding Assad. He is reassuring Moscow that it has a client ready to buy Russian weapons at present. What Iraq has done is simply gift the Russians an alternative to Assad’s regime. Moscow can now claim it is far from being isolated in the Arab world. Maliki hankers after superseding Assad in the region, albeit rolled out in new packaging. The new packaging will prove faulty nevertheless, for how can Maliki square the Tehran-Washington-Moscow circle or forge exceptional ties with his fellow-Arab countries? Russia has been regurgitating “to fight terrorism” since the outbreak of the Syrian Revolution. With the Russians taking “terrorists” to mean “Sunnites,” Maliki comes along to seek their cooperation in fighting them. No need to think long and hard: Maliki aspires to supplant Assad in the region as the protector of its minorities and all the rest.